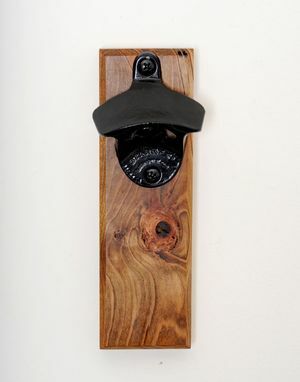 Like its sister opener, The Rustica, the Mini-Rustica is a compact magnetic bottle opener composed entirely from a slab of ambrosia maple. Its size allows for optimum portability and is the perfect tool to take to any camping trip, outdoor grill, or general shindig. 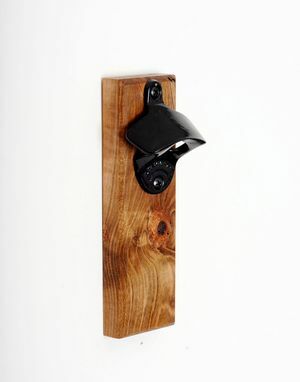 The Mini-Rustica comes ready to be mounted on any magnetic surface (fridge, grill) and we also provide the instructions and mounting hardware to screw this bad boy into any wall of your choosing. It'd look mighty fine hoisted up in your summer cabin. 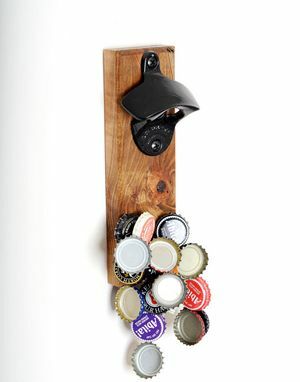 Choose from an array of bottle opener styles and customize your Mini-Rustica how you see fit. 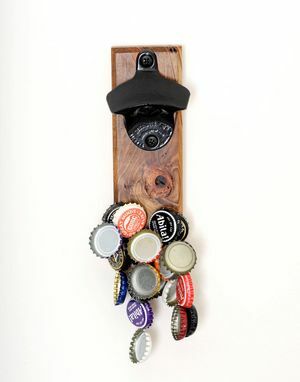 They make for perfect groomsman gifts or wedding favors as well as ideal Father's Day gifts or "just because" gifts for the beer drinker in your life. The Mini-Rustica measures roughly 2.5"wide x 7"tall x 3/4"thick. 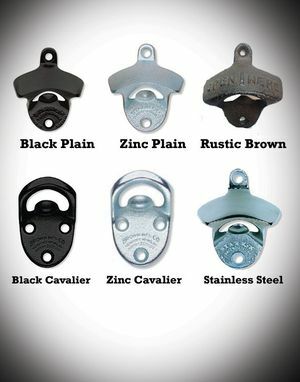 We're extremely happy to accommodate bulk orders and even offer discount pricing for sales of over five units. Please feel free to inquire and we'll be happy to work with you!